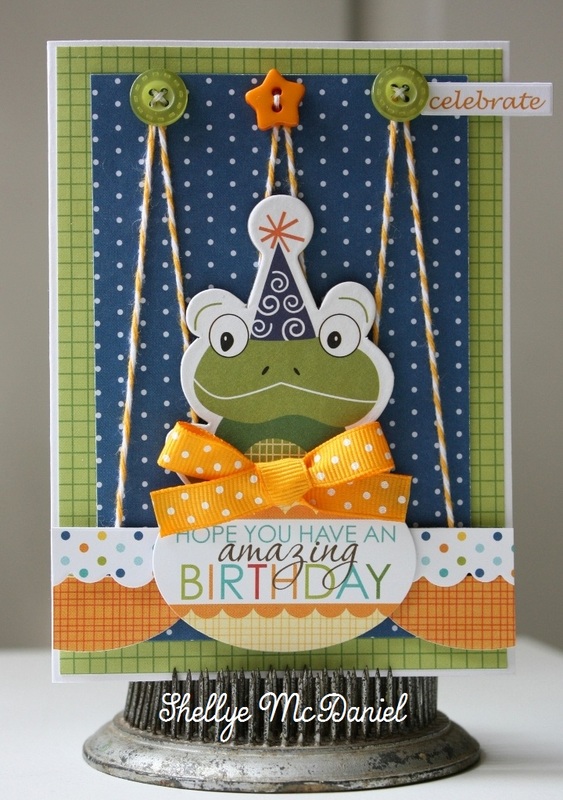 Whimsy by Shellye: Card Making Day All Over the World! 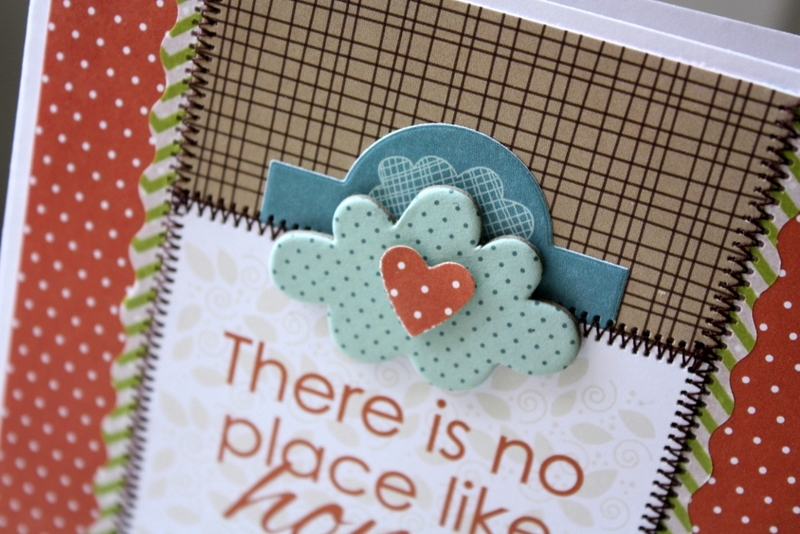 Card Making Day All Over the World! for one of my very favorite hobbies: cardmaking! places today... first up I'll be sharing with Bella Blvd. last week, I couldn't wait to jump in and get crafty! a scalloped edge, so I grabbed the decorative edged scissors and set to work. A simple zig-zag stitch from my sewing machine completes the cozy, inviting card. The next card is really and truly so cute that I almost can't stand it! "the frog looks like he's sitting on a swing!" Why yes, he does indeed! the large embroidery needle, I also hand-stitched on a few buttons to the top. 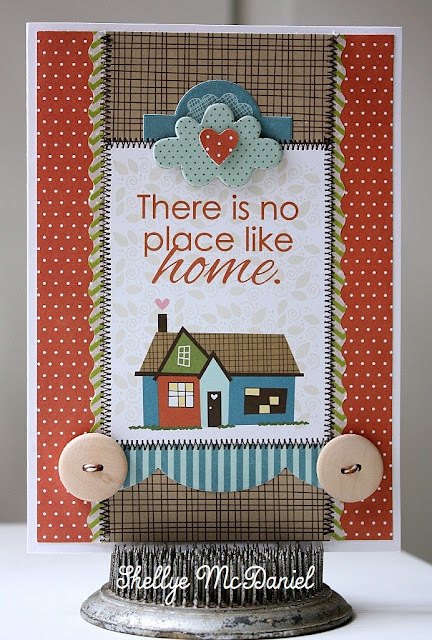 Just Write Journaling Stickers; Ciao Chip Icons; Button Market: Orange Stars and Outdoors. challenges that the Design Team are sharing today. $1000 worth of prizes to be given away! I'll be back later on today....enjoy! 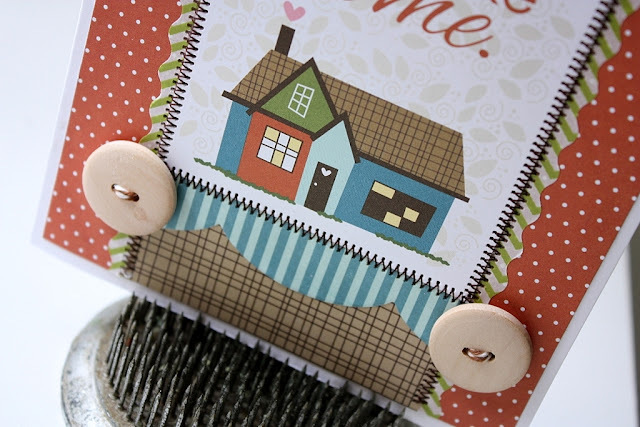 These are absolutely fabulous cards Shellye!! I just love them!! Wow! Simply awesome! 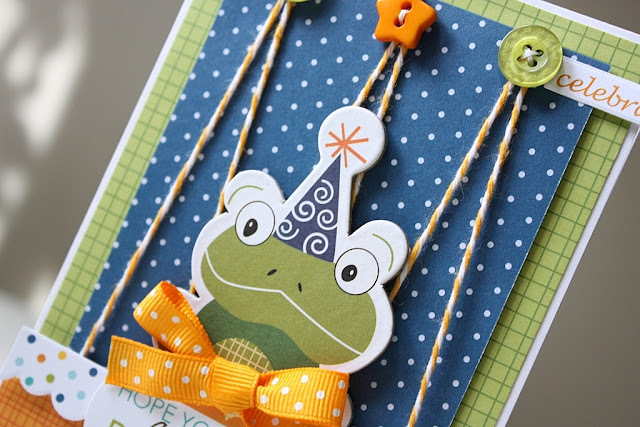 And I soooo love that frog card!